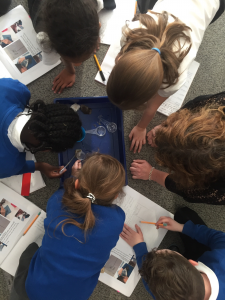 Year 3 are all being Petrologists this term (rock scientists). 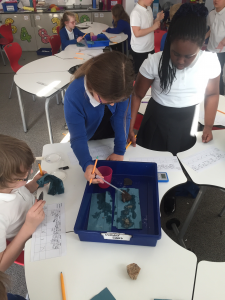 We’ve been testing to see how hard rocks are, investigating their permeability (if they can absorb water or not) and using acid to discover if they contain any shell, which shows us they were probably formed under the sea, and are therefore sedimentary rocks. Check out the BBC bitesize website for some more facts, games and videos about rocks! ← Reduce, Reuse and Recycle!